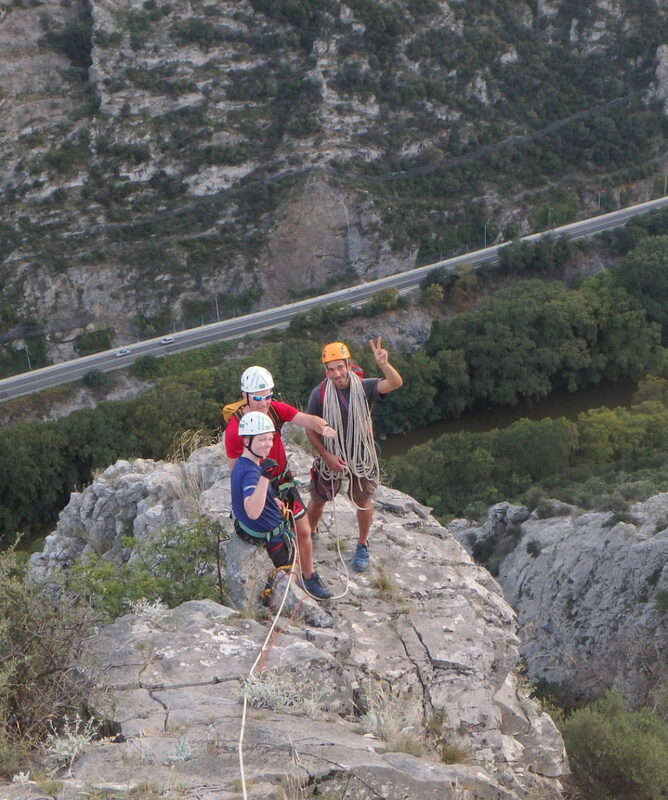 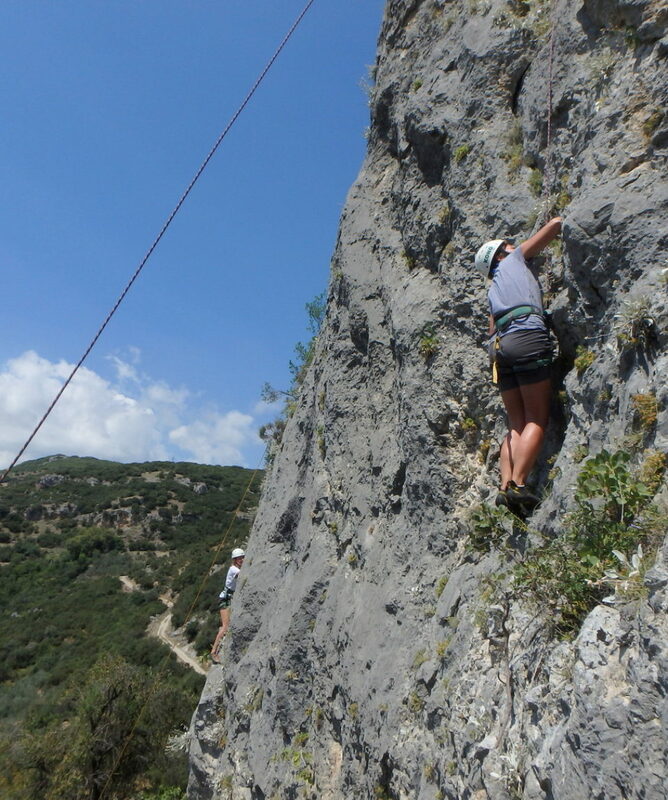 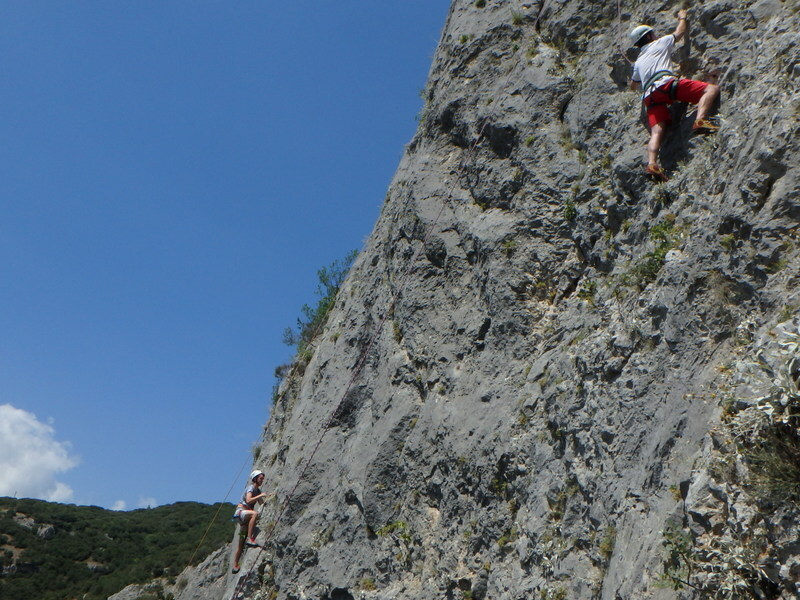 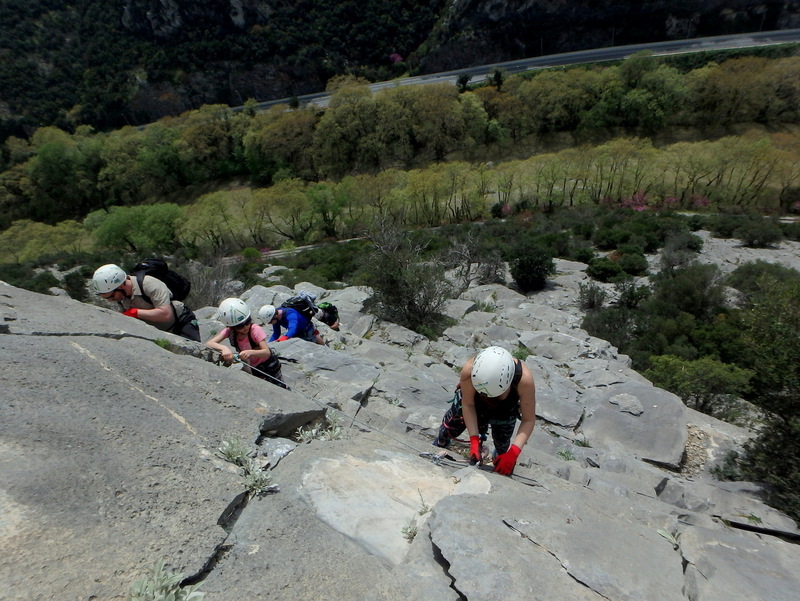 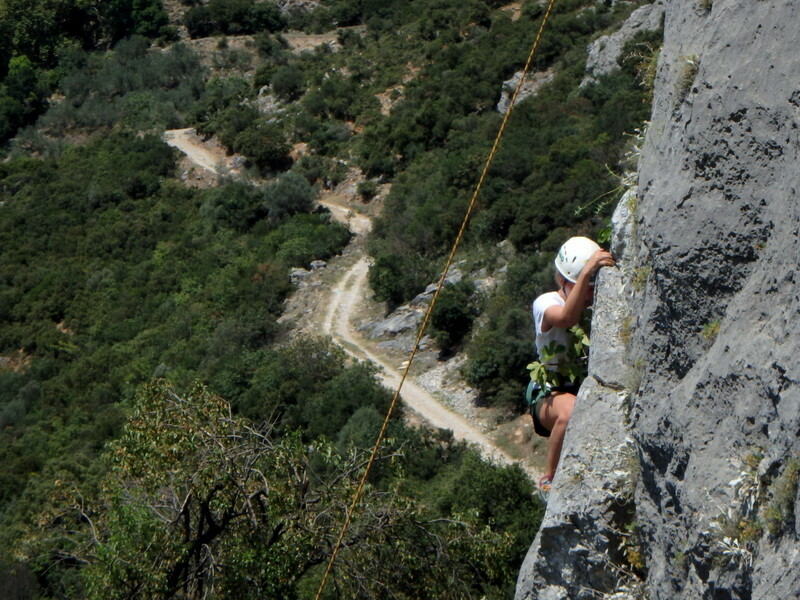 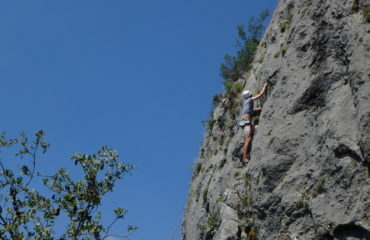 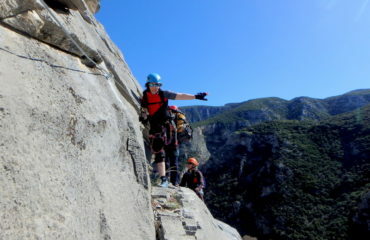 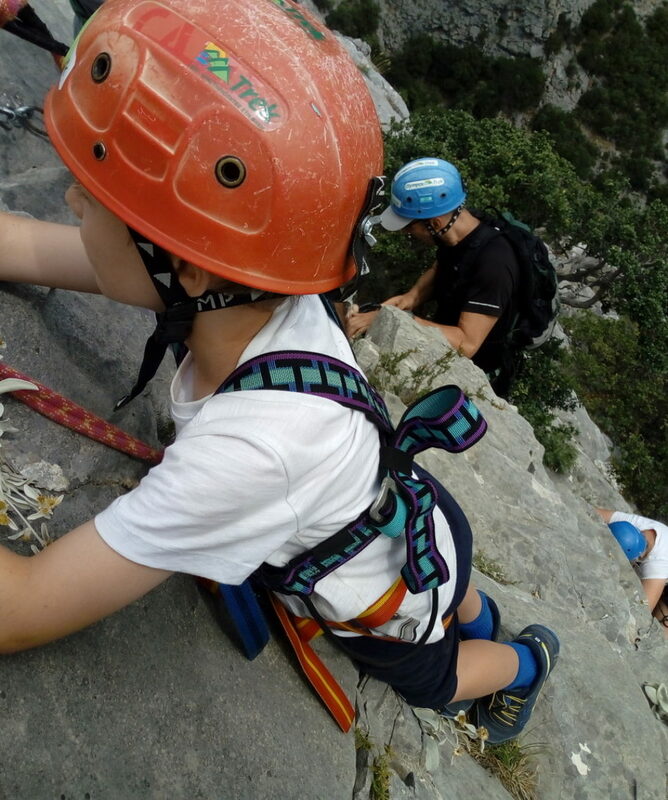 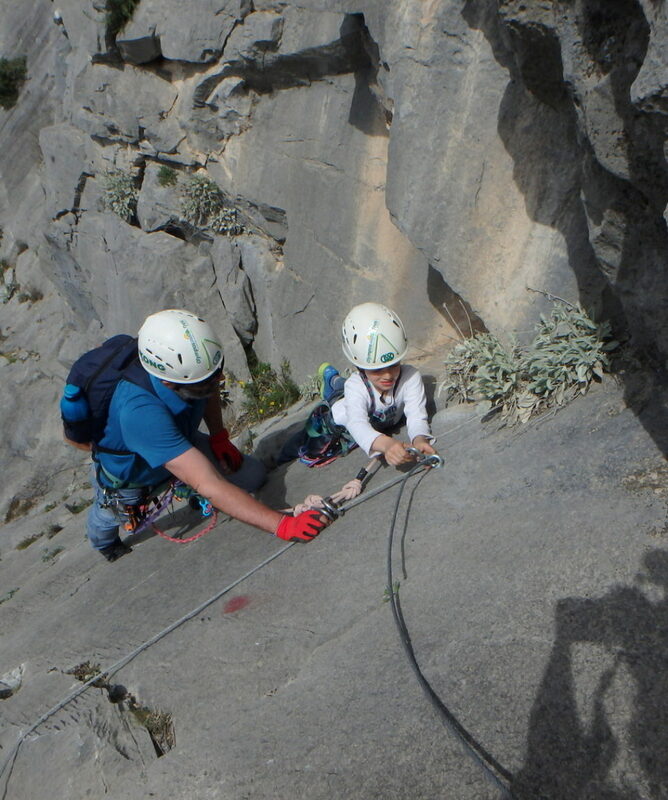 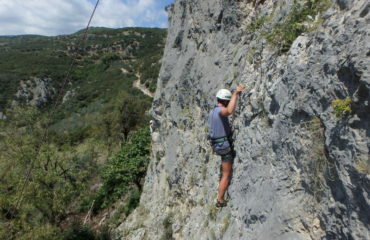 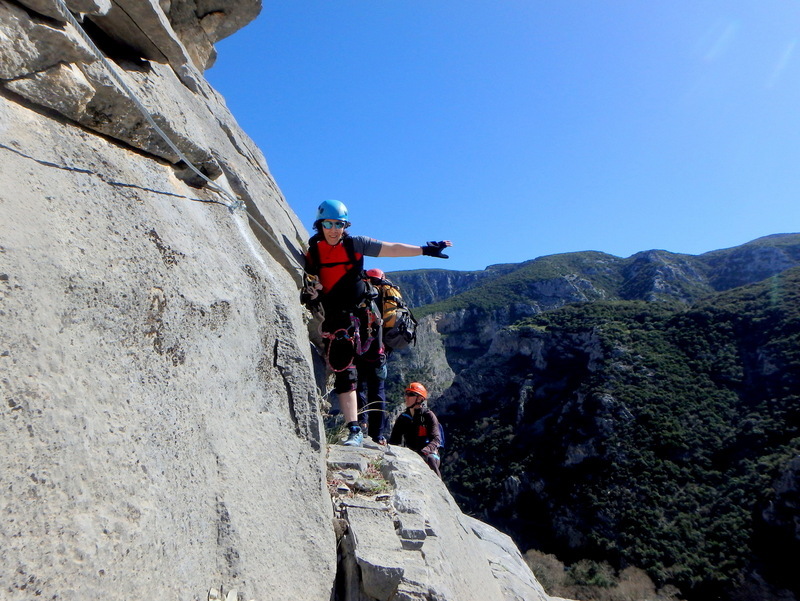 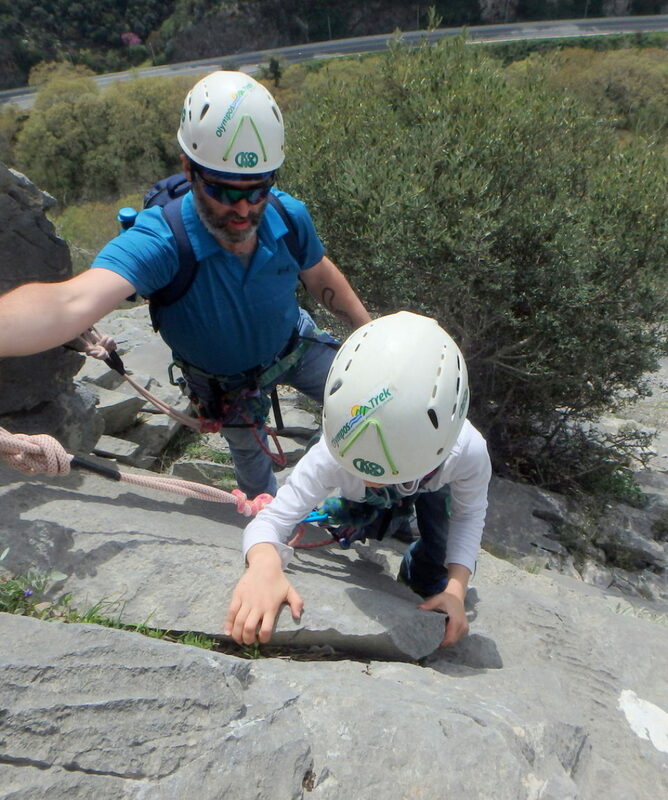 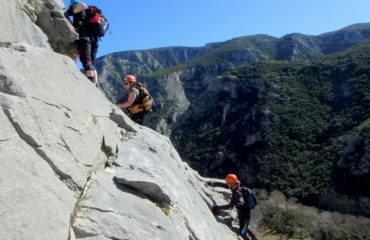 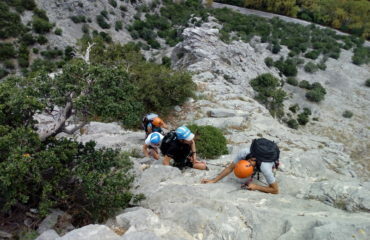 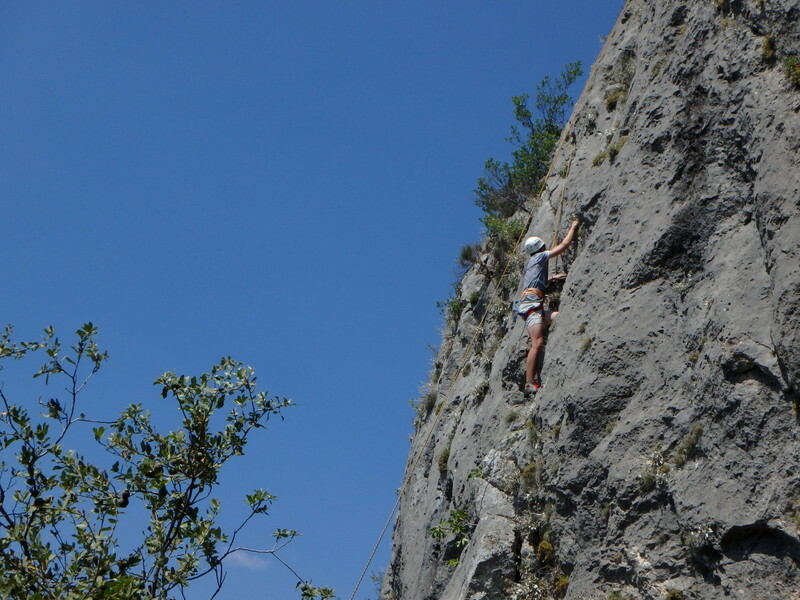 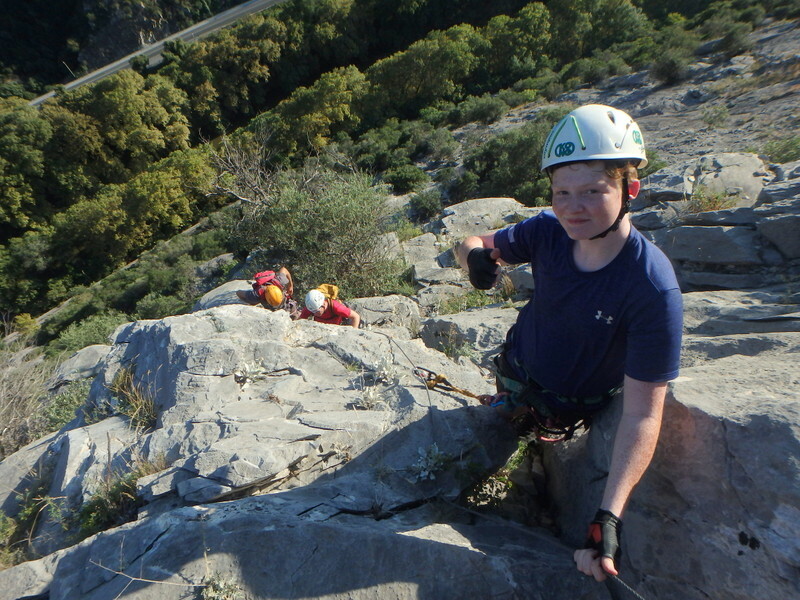 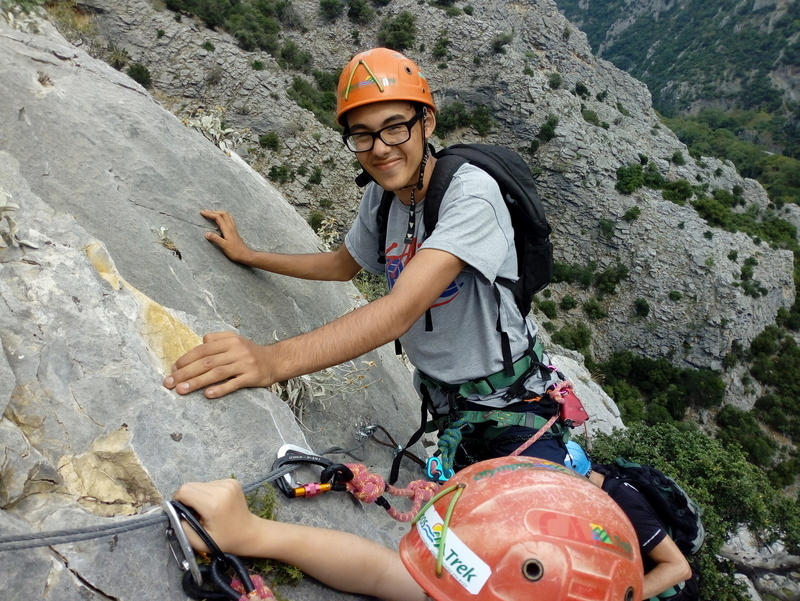 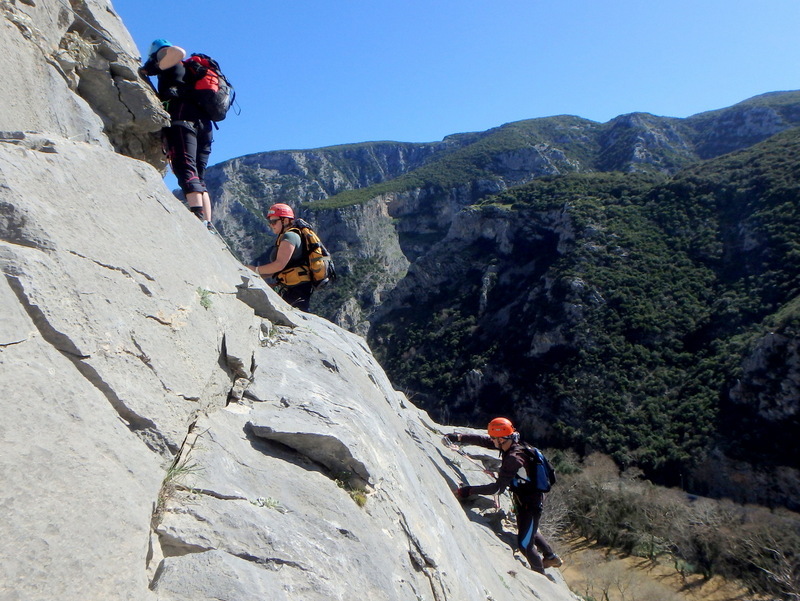 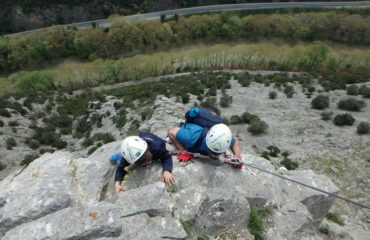 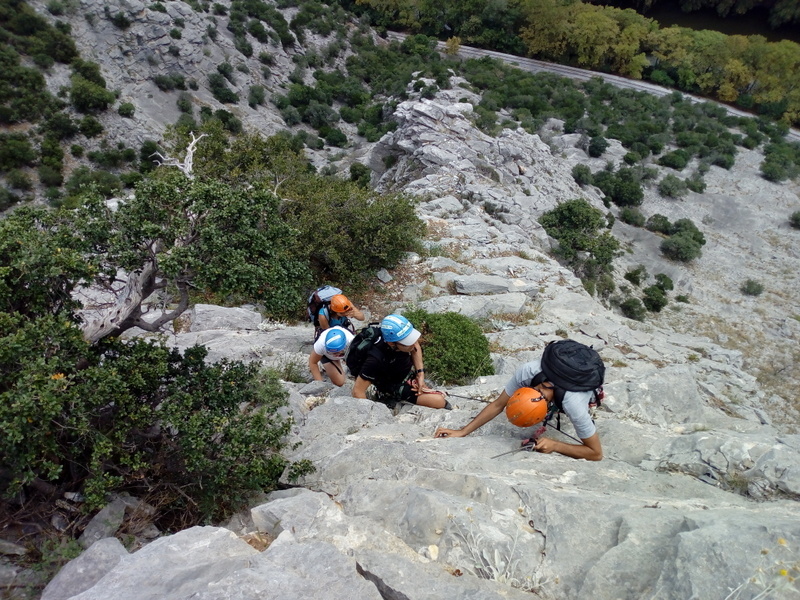 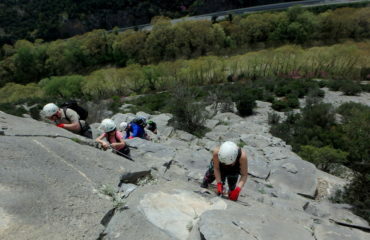 Via Cordata / Ferrata & Rock climbing in the Tempi valley. 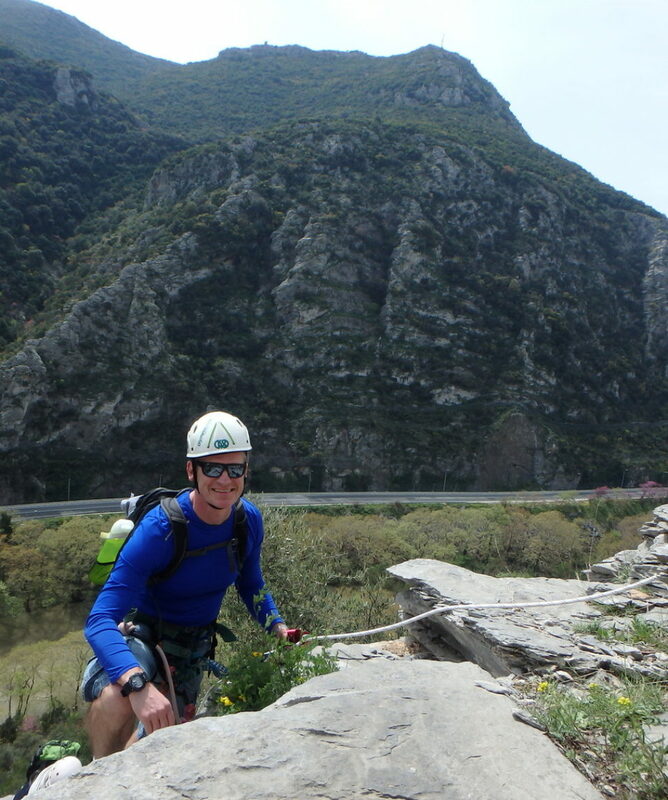 We meet at the west end of the Tempi valley. 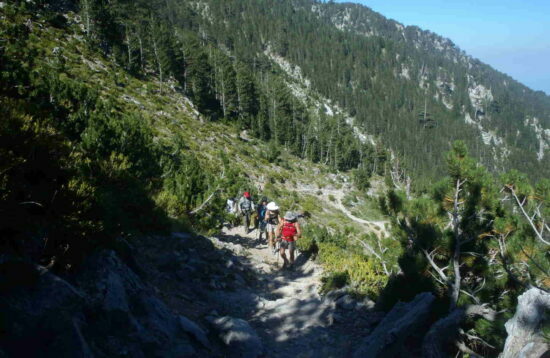 The ridge is located at the north cliff side of the valley, geologically considered to be on Lower Olympus. 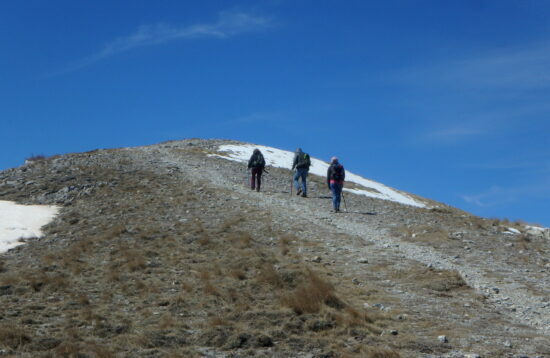 After we have met, we are transferred to the starting point of the walk-in (10’ by road). 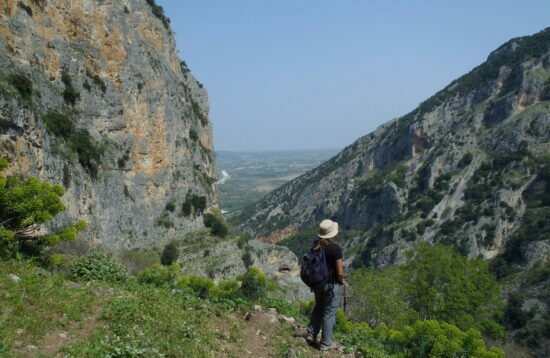 The walk-in follows the old railway line alongside the river Pinios, with great views all along the hike. 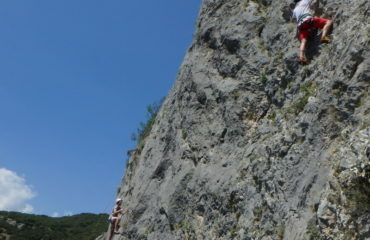 Duration of walk-in, 15 – 20’, easy. 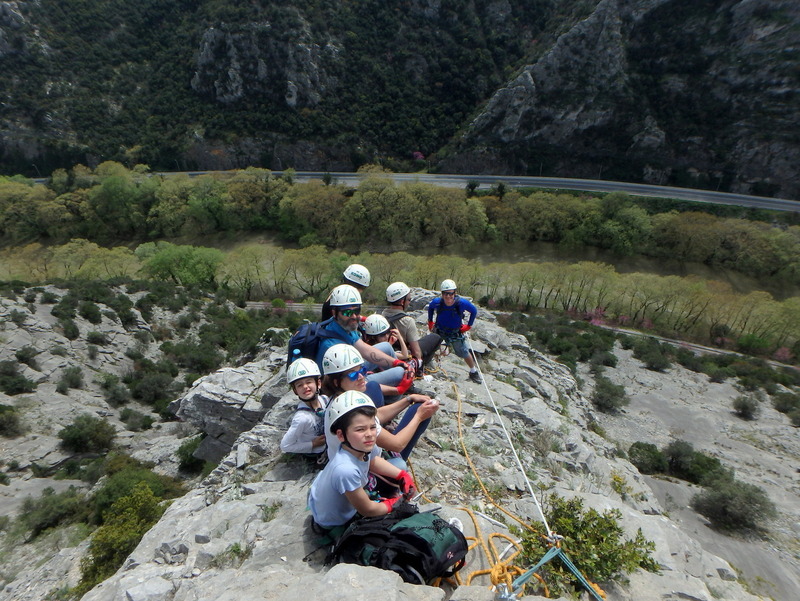 Description of route. 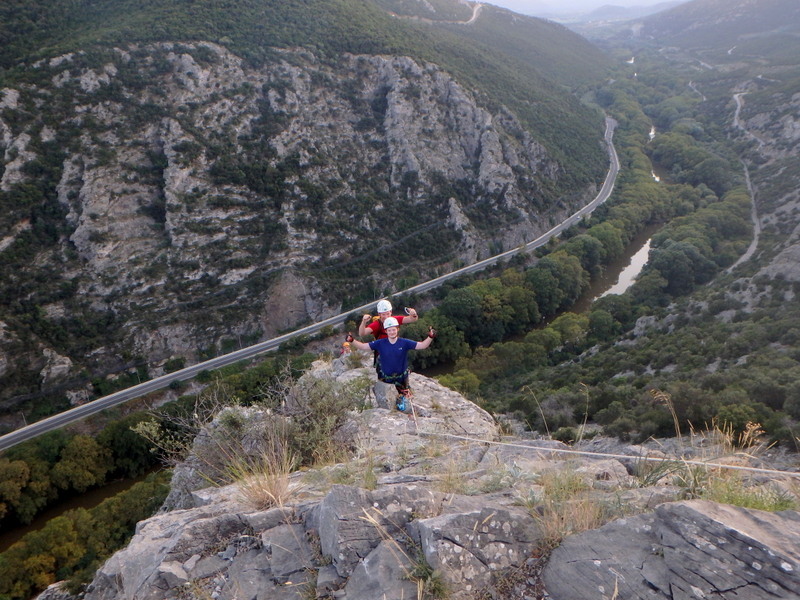 Start at 20m above sea level – Finish at 240m. 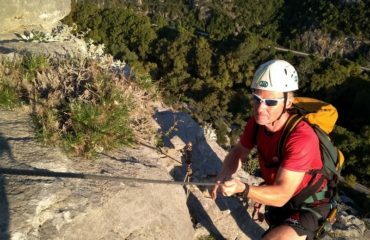 Gained altitude 220m. 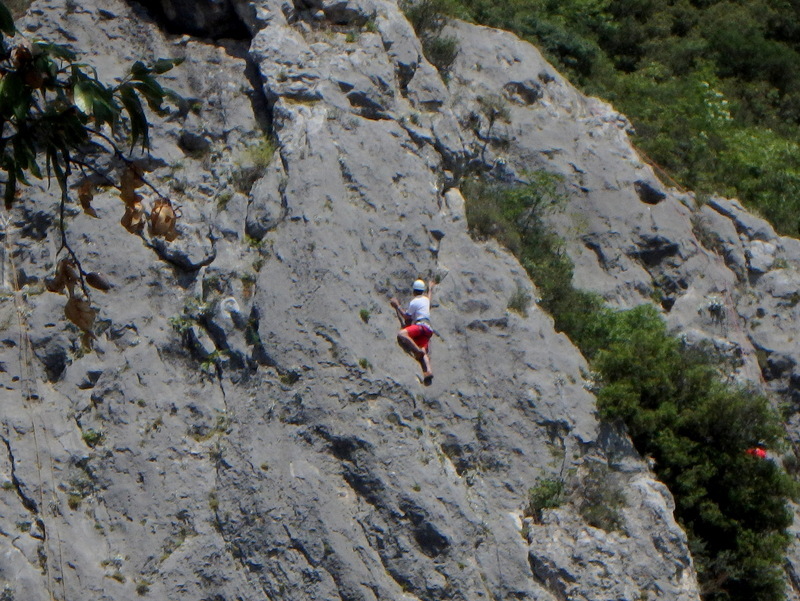 Length of route, 290m. 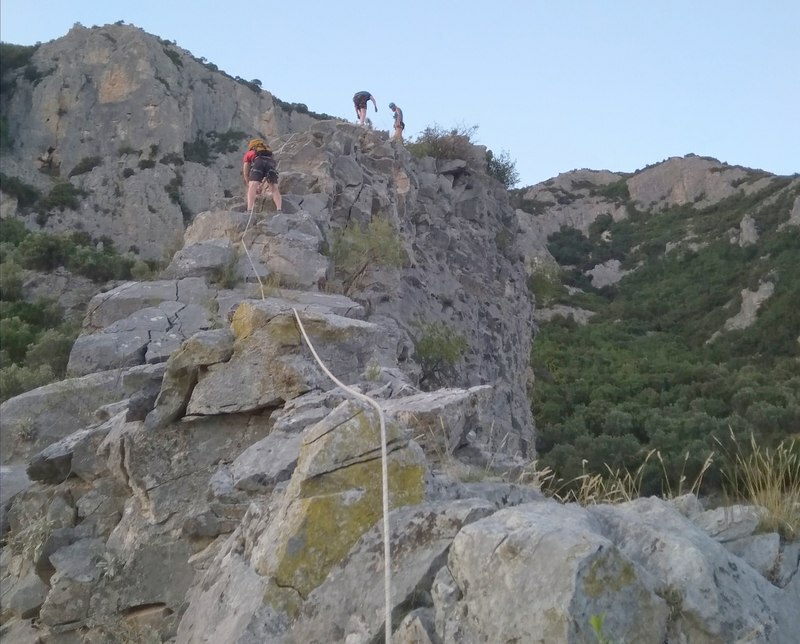 The route consists mainly of long sections of narrow ridge scrambling and shorter sections and “steps” of actual climbing of III+ to IV- grade on grey limestone rock. 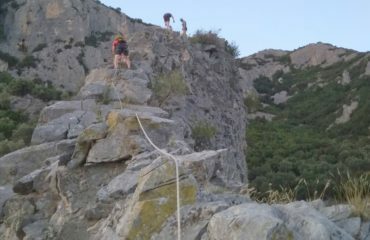 The ridge scrambling is a typical Via Cordata with the protection of fixed ropes, while the climbing sections are also protected with cable, thus making the route a very interesting combination of Via Cordata and Via Ferrata, resulting to extra safety, ease and of course great enjoyment. 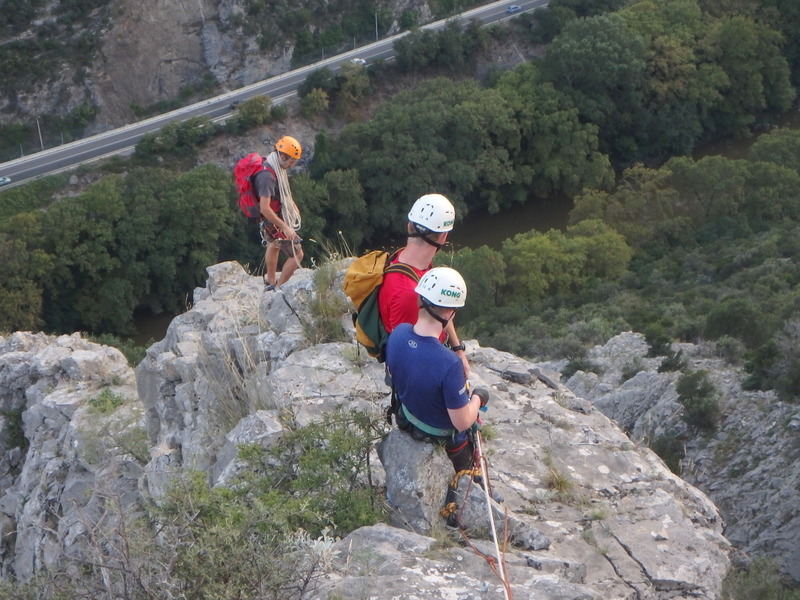 The views of the gorge with the river far down below are just breathtaking. 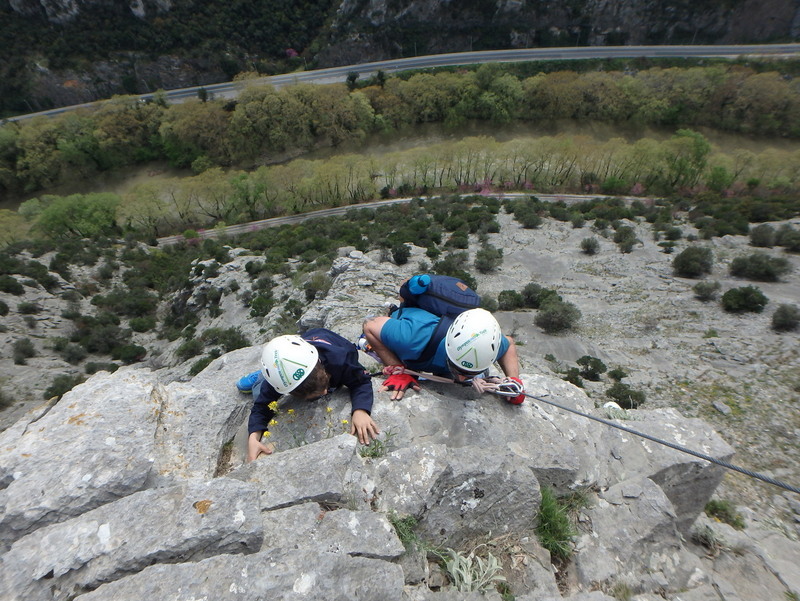 Duration of the Via Cordata / Ferrata route, 3.00’ to 4.00’ hours. 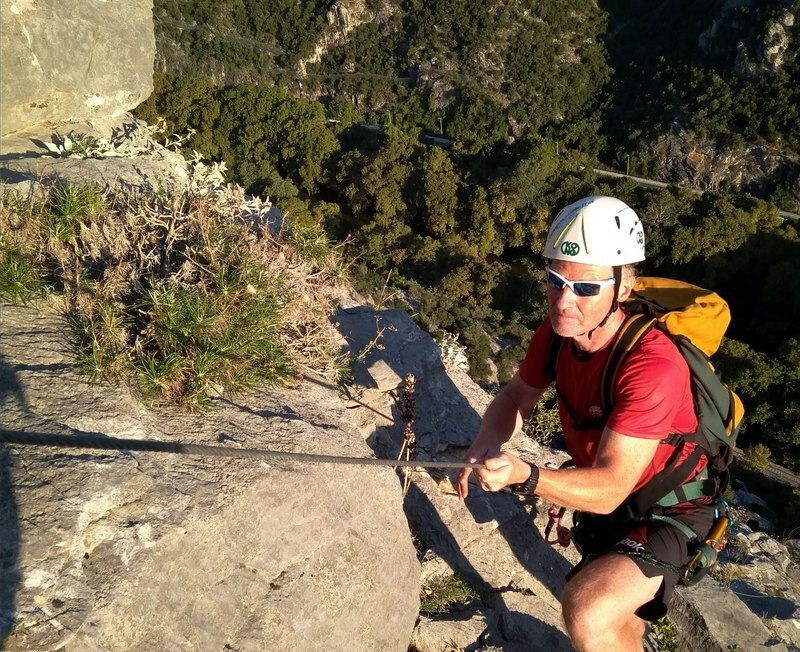 Enjoy some time on top of the ridge enjoying the unique moment! 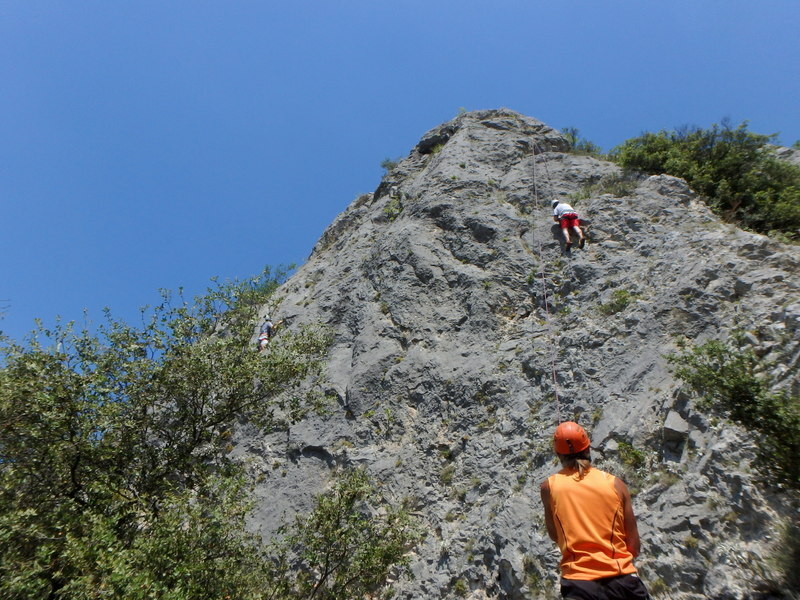 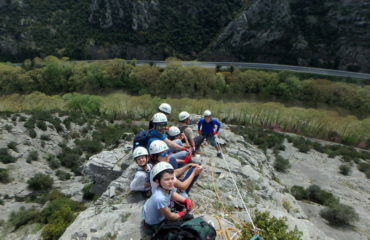 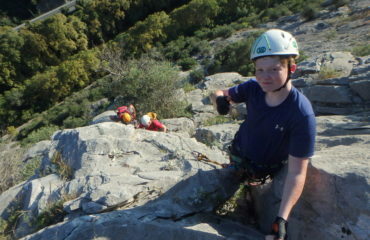 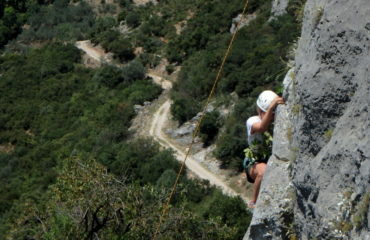 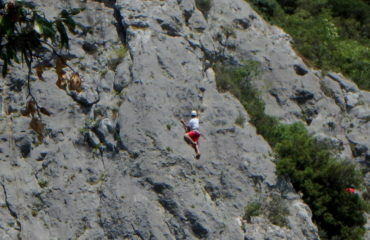 Then, a 10’ walk takes us to the climbing site for the rock climbing session and to a light picnic lunch. 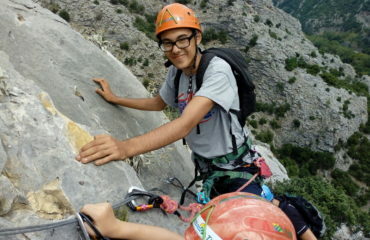 After all it is a “rock-day” today! 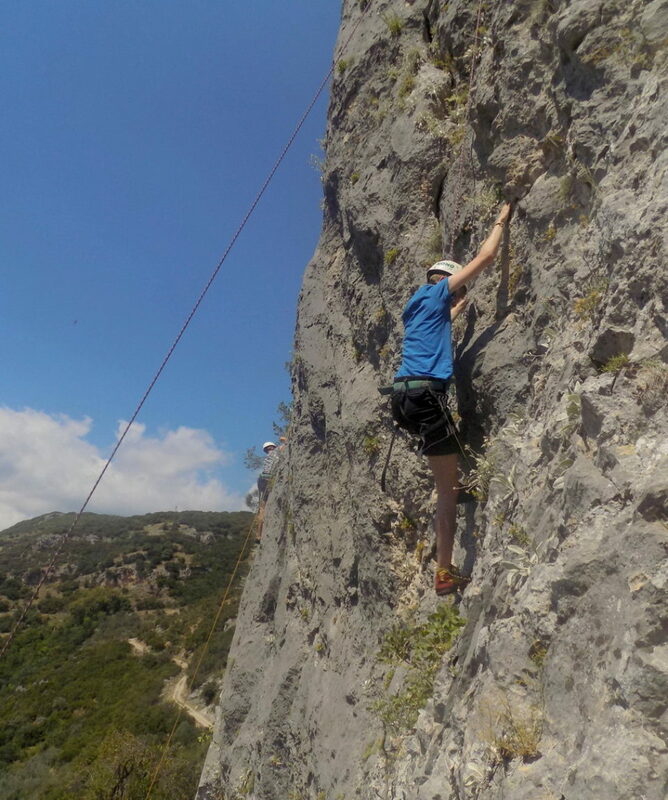 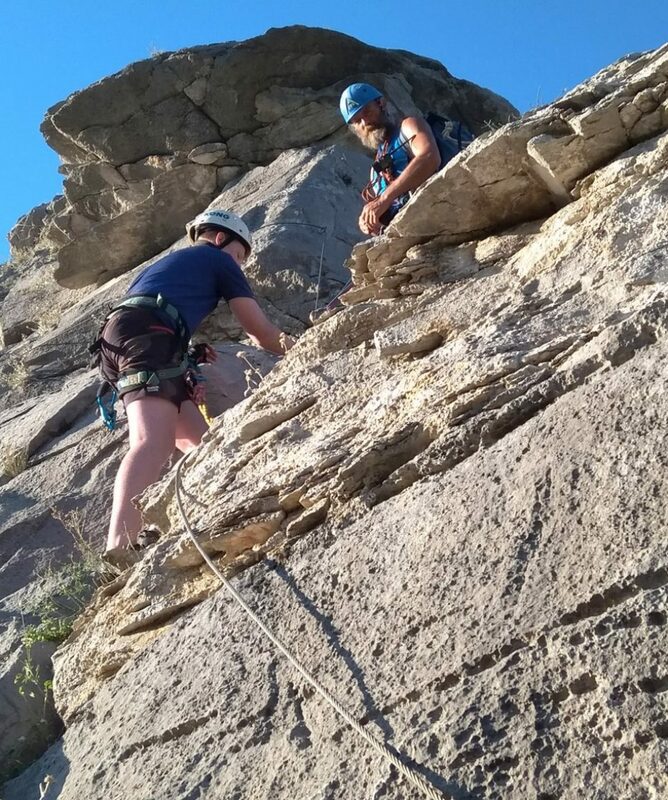 Here, on an impressive limestone rock face, we have created a top-rope climbing playground with routes of various grade, for youths and adults to enjoy, about 20m high. 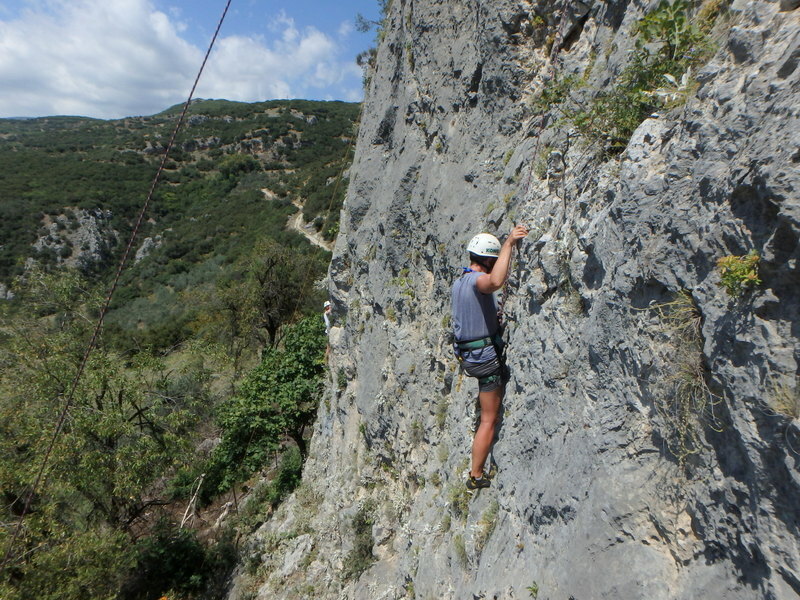 This is a unique spot with great views lower down towards the river Pinios and the western part of the Tempi valley. 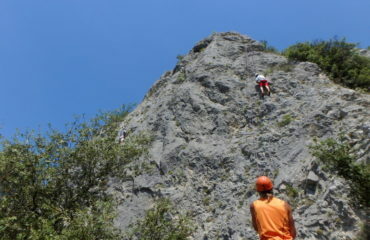 The climbing takes about 3.00’ hours and if there is time you can have more! 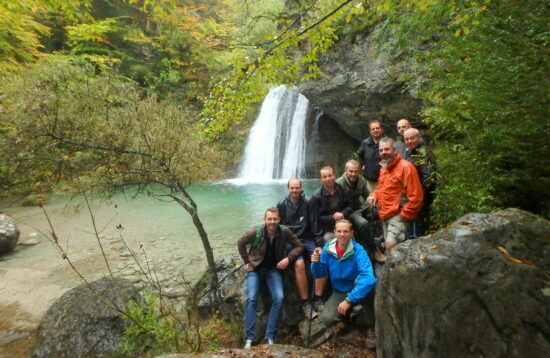 Transfer back to our meeting point and your vehicle. 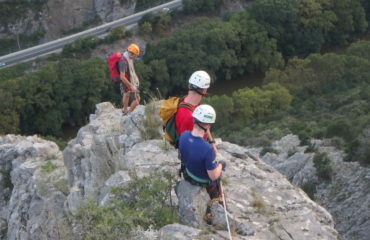 The total duration of the activity, from the meeting time to the “ready to return home” time, is 7.00’ to 7.30’ hours.